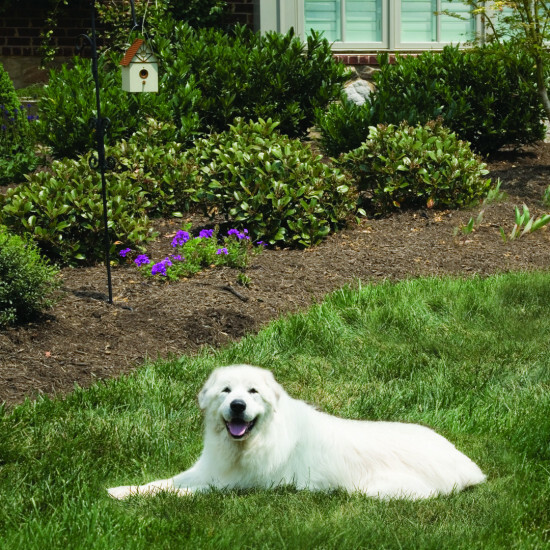 The Outdoor Ultrasonic Bark Control encourages dogs to stop barking, giving you peace and quiet in your own backyard. Whenever your dog or your neighbor’s dog barks, he will hear a high-pitched sound that's inaudible to most humans. 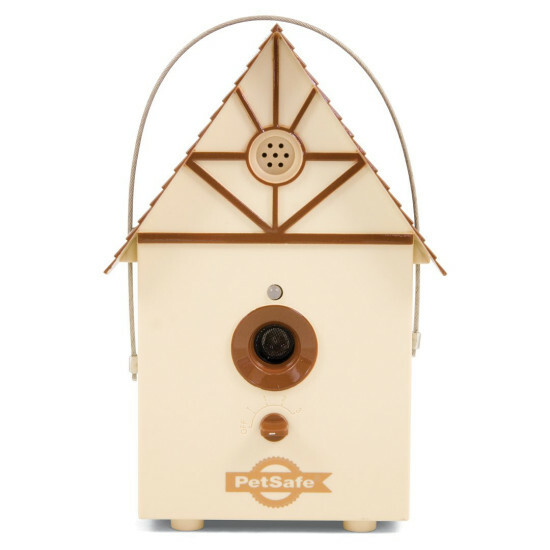 The ultrasonic sound is harmless yet annoying, which reminds your dog to stop barking. The sound stops as soon as he stops barking. 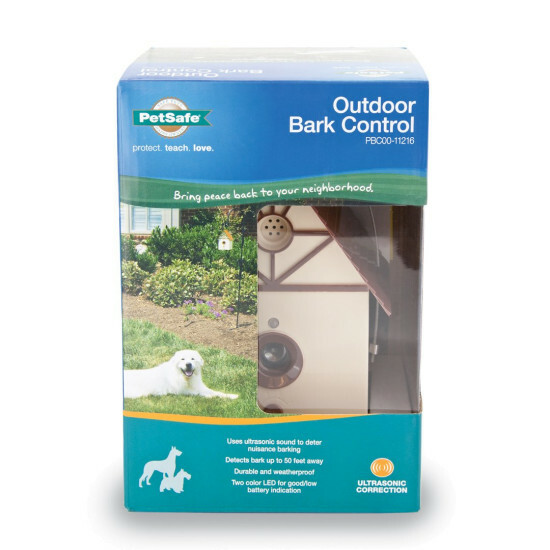 The outdoor bark control unit looks like any ordinary birdhouse and can hang in a tree, on a fence post, or anywhere outside in your yard. 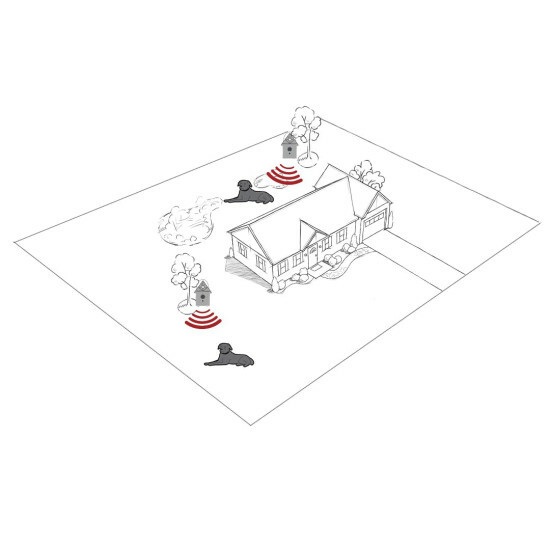 With a range of up to 50 feet, one unit could cover a 1/4 acre yard. Add more units to cover a larger property.